The Israeli intelligence Agency Mossad foiled an Iranian terrorist attack in Paris, France last month, News 2 reported. The terrorist cell, headed by an Iranian diplomat based in Vienna, planned to attack a conference of Iranian dissidents that was held in Paris. Thousands of people attended the conference, including US President Donald Trump's adviser Rudy Giuliani. According to the news report, Mossad agents, together with their counterparts from Belgium, France and Germany, conducted a hunt that crossed several countries. 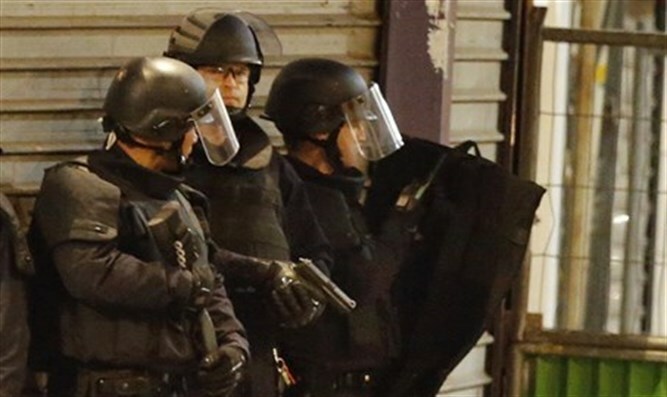 The secret activity included surveillance, citations and listening, and at the end the terrorists were arrested while carrying explosive devices. The terror cell was captured shortly before the visit of Iranian President Hassan Rouhani to Europe. Earlier this month, Prime Minister Binyamin Netanyahu hinted that Israeli intelligence helped thwart the attack. Speaking at a ceremony marking the 70th anniversary of the Acre prison break, Netanyahu spoke of the duplicity of Iran's behavior. "This week the President of Iran met with leaders in Europe in order to try and overcome President Trump's sanctions regime – and I tell you that this attempt will fail – even as Iran planned a terrorist attack on French soil in Europe." "It was no coincidence that this attack was thwarted," he said.